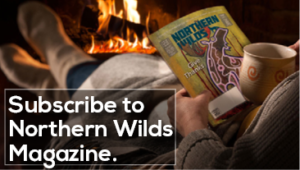 While the North Shore Dish typically focuses on food and drink for humans, in this pet-focused edition of Northern Wilds, I thought it only fitting to look at local delicacies available for our furry friends. These shops and treat-makers offer a wide range of items, from beef jerky to cakes, all for those on four legs. 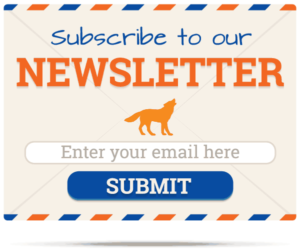 While many of us are pet owners, you’ll want to keep reading even if you are not. Guaranteed that someone is your life has a dog or cat that would enjoy a special treat. Sharing treats is a joyful activity; just ask my one-year-old daughter who loves doling out treats to our chocolate Lab, Maya. Since 2011, Bay Meats has been serving customers in Thunder Bay, mostly of the human variety. Three years ago, they increased their canine fan base by launching Dexter’s Dog Jerky Treats. Just like their human jerky, Dexter’s is made with Canadian beef in their Bay Street plant and they haven’t met a dog who doesn’t like it. It all started with Bay Meats’ loyal customers. 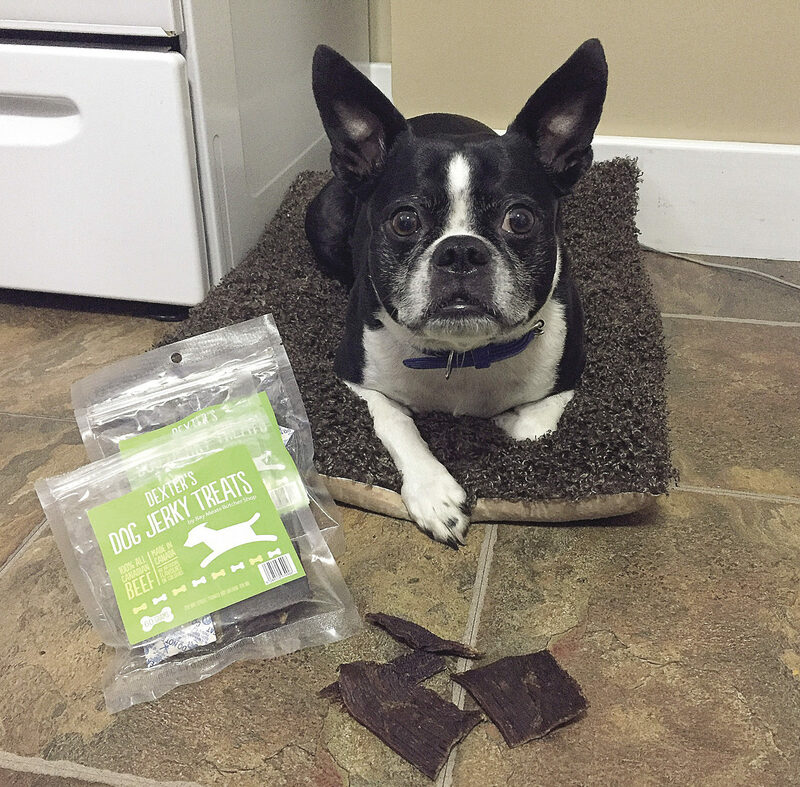 “Many of our customers were sharing our ‘people’ jerky with their dogs, and as much as I thought it was cute, it didn’t seem right. Dogs are so much smaller than humans, so we started thinking about how to make them a healthier product,” said Cindy Salo, owner and manager of Bay Meats. After some researching, they found that the few options out there had labels instructing people to wash their hands after feeding to the dog. They knew they could do better than that. Not only is Dexter’s Dog Jerky made with Canadian beef, it is made with the same protocols and procedures as their people jerky. 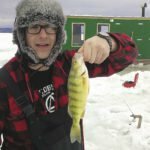 Bay Meats (282 Bay Street, Thunder Bay) is open Monday to Friday, 10 a.m.-6 p.m. and Saturday 10 a.m.-5 p.m. In addition to at the shop, Dexter’s are also available online (baymeats.com) and locally at Thunder Pet, Northwest Vet Clinic, and some Safeway stores. Does your dog have a milestone birthday or other special celebration coming up? Puppie Love has the treat for you: custom pupcakes (dog cupcakes) and doggie cakes. Sarah LaVerne and her daughter, Ella, started baking for dogs as a way to fundraise for local pet rescues and charities. It was so well received that Sarah embarked on a journey to create the bakery business, Puppie Love, which has online ordering and local delivery in Thunder Bay. Puppie Love offers treats, pupcakes and cakes. The treats come in a variety of dog favorite flavors, including peanut butter, bacon, sweet potato, beef, turkey and cranberry, and gingerbread. For pupcakes and doggie cakes, peanut butter, bacon, and honey cake flavors are available. Owner Sarah developed her own recipes, searching for ones that have “natural and organic ingredients that held a good shape, snap and chew, and maintained a good shelf life.” Ella and Sarah’s love of pets comes through in the products they offer, with healthier but still dog-loved options. They have enjoyed taste testing with her mother’s, Ella’s grandmother’s, and dogs Little Girl and Dakota, who have become big fans of the Puppie Love products. With hopes of eventually having a storefront, Puppie Love is currently available by special order via the website (puppielove.online). 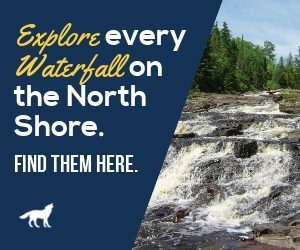 Pick-up and delivery is available in Thunder Bay and if south of the border, contact Sarah as arrangements can be made for delivery to Grand Portage. All dog treat orders need two business days and pupcake/doggie cake orders need two weeks lead time. 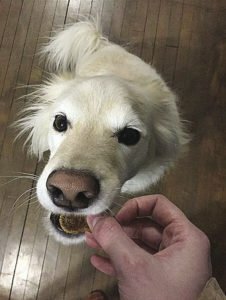 In the Lakeside neighborhood of Duluth, a shop on Superior Street is busy selling their own dog treats and many other specialty pet supplies: Matilda’s Dog Bakery and Boutique. Owner Joanne Elliot opened the shop in 2011, after making treats for local gift shops grew into the idea of a full shop. In addition to handmade onsite Buckaroo Biscuits, bark-scotti, and seasonal treats, Matilda’s carries a variety of high quality pet foods, chews, treats and other supplies. As many in the pet business, Elliot is a pet lover and she has three dogs. “Small, medium, and large,” she said about her dogs. Matilda, Olive and Thor have been her inspiration and taste-testers along the way. Thor the chihuahua is the Buckaroo Biscuits label star. Matilda, the store’s namesake, is an 85-pound husky Lab mix. “It’s fun to see how people really love their pets,” said Elliot. While Matilda’s treats are for dogs, they also carry high-quality cat treats, including freeze-dried raw treats. Cat treats are difficult to make as they need to be tiny, so like many other local treat makers, she focuses her handmade products on dogs. Eight treat flavors are available, with the peanut butter-based ones being the most popular, with bacon and maple and with honey. In addition to at the shop, the treats are also available for sale at both locations of the Whole Foods Co-op in Duluth, Duluth Pack and Mount Royal Market. Pet owners come from near and far to get treats and food through Matilda’s. Elliot is able to special order many difficult to find products, so she encourages potential customers to contact her. As she says, “If I can’t get it for you, you don’t need it.” She is also happy to work with customers on nutrition counseling as pet food allergies have become more recognized. “It is really satisfying to help someone out with [pet] health challenges,” said Elliot. Just like with people, diet has a significant impact on pet health and longevity. Matilda’s Dog Bakery and Boutique (4521 E. Superior Street, Duluth) is open Monday through Friday, 10 a.m.-5:30 p.m. and Saturday 10 a.m.-4 p.m. If you are looking for an extremely local dog or cat treat, a new one came onto the market this past year. 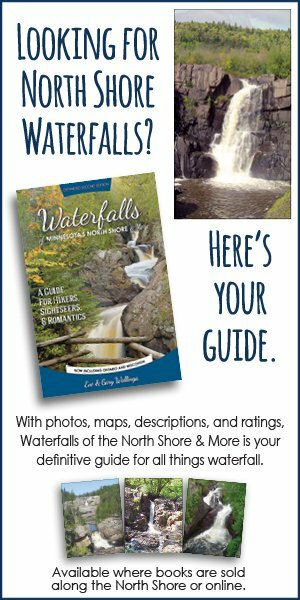 Canadian Freshwater Fish Skin Treats are made from fish sourced right from Lake Superior. 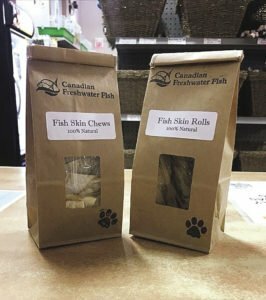 Thunder Pet, in Thunder Bay and Terrace Bay, is carrying this locally-made treat, produced by a new Thunder Bay company, Canadian Freshwater Fish. They are available in rolls and squares, perfect for dogs and cats. 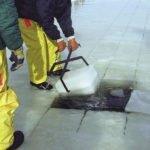 This product debuted this winter and has been well received by customers. 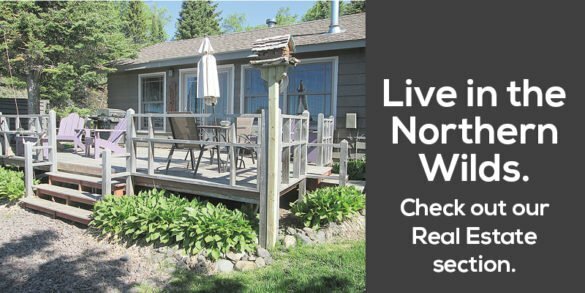 Thunder Pet (735 Red River Road, Thunder Bay; 1605 Mountdale Avenue, Thunder Bay; and 37 Simcoe Plaza, Terrace Bay) in open Monday through Saturday, 9 a.m.-9 p.m. and Sunday 10 a.m.-6 p.m. at the two Thunder Bay locations and in Terrace Bay is open Monday through Friday, 10 a.m.-6 p.m. and Saturday 10 a.m.-2 p.m. They also carry raw marrow bones and Dexter’s Dog Jerky from Bay Meats. 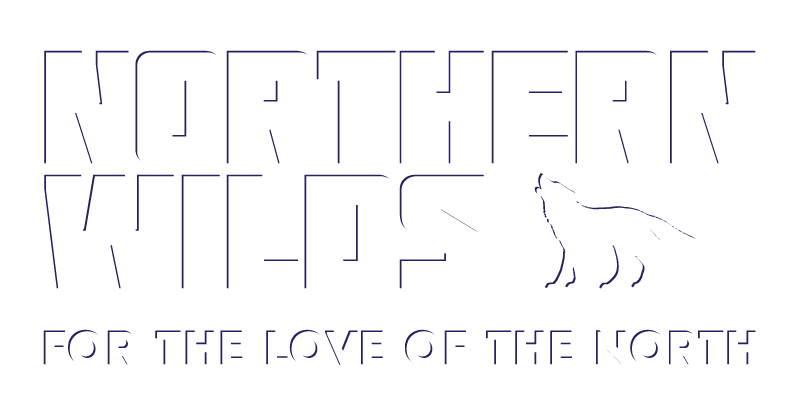 We are pet lovers here at Northern Wilds and I hope this will inspire you to treat your favorite pet to a locally made treat this month. Support a local business and make your pet happy with a healthy treat all at once? Sounds like a win-win to me.